This your will take you to Queen Elizabeth National park, the Ecological wonder of East-Africa. This park, Uganda Gifted by Nature is a marvel. 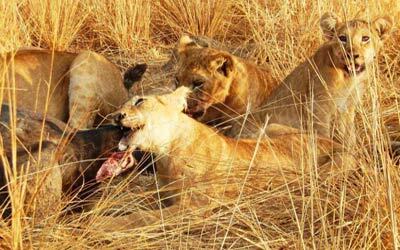 It is famous for tree climbing Lions in Ishasha, Elephant herds, Buffaloes, Leopards, several antelope species, Hippos, Crocodiles, Giraffes, and several other wildlife. This park is also a sanctuary for multitude of Bird species for Bird watching Enthusiasts. That aside, this Eco-wonder is blessed with breathtaking landscapes and vegetation, Crater lakes, Hot springs and friendly people with rich Culture. 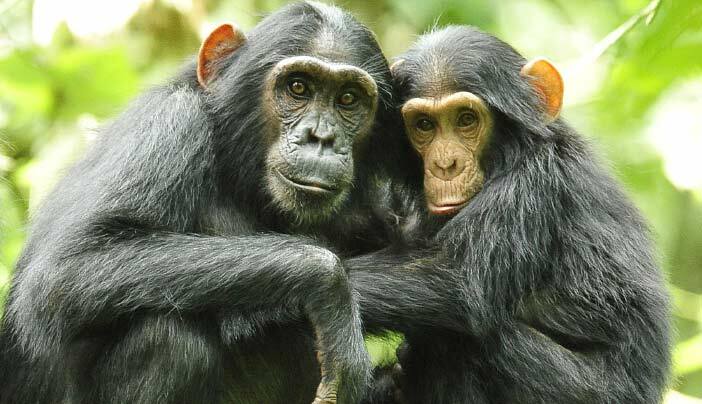 Before driving to Queen Elizabeth, we will have a stop at Kibale Forest National Park for Chimpanzee tracking and other Primates. This park also presents a good birding opportunity in the Bigodi swamp with over 280 species. Kibale forest National Park and Bigodi swamp are a home to many primates including Chimpanzees, black and white Colobus, L’Hoest’s, Mangabey, Red-tailed monkeys, Baboons and so much more. 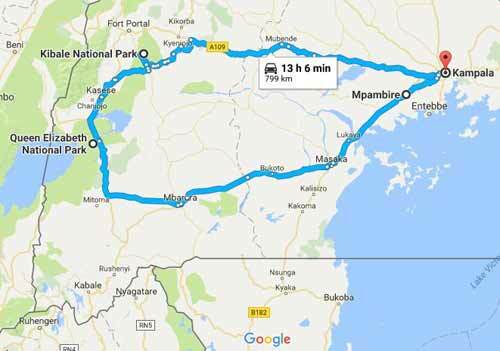 Our driver guide will pick you from you hotel/lodge in Kampala/ Entebbe or your place of residence to start a five hour journey to Kibale Forest National park passing through big towns of Mityana and Mubende before reaching Fort portal. This town has been known as the cleanest town in Uganda and it is ever green. The town is surrounded by big tea plantations and estates that presents fantastic photographic opportunities. You will continue to check in at the lodge before having hot lunch. A relaxing afternoon and evening though we have a room for many optional activities. After an early breakfast we set off to the briefing at the Kanyanchu Briefing Centre for registration and briefing before we start the trek to see our cousins the Chimpanzees. After briefing and getting our ranger guide we enter the forest to track the Chimps. The activity takes an average of 4 hours including the hour you spend with them. After this awesome Experience of a life time we head back to the lodge for lunch and relax. In the afternoon we visit the Bigodi wetland sanctuary, a great initiative of the local community surrounding the park. An organized trail through the wetland presents a good Bird Watching opportunity and four Primate species are often being sighted on this trail (Black and White Colobus, L’Hoest’s, Mangabey, Red-tailed monkeys). A late morning departure for Queen Elizabeth national park, driving through big banana plantations, maize, cotton and sunflowers on season, this is so, because of the volcanic soils which are eroded from mountain Rwenzori. Also, the land is generally flat enabling mechanization. We drive on the foothills of mountain Rwenzori and through the copper mining town of Kasese. Upon check in arrival in Queen Elizabeth National Park, we have lunch at the lodge. In the Evening we go for a game drive. We drive off for an early morning game drive with our parked breakfast. We aim for the Big Cats which are more active in the morning such as; Lions and Leopards. We also lookout for Hyenas, Elephants, Buffaloes, Antelopes and Birds. Queen Elizabeth NP's Kasenyi tracks presents the best region for game viewing because of the open grounds which attracts big game. We then return to the lodge for lunch. In the evening we have a boat cruise on Kazinga channel a wonder of its own, you can’t imagine how close you get to giant animals like Buffalos and Elephants which come to banks for water, giant forest Hogs, Hippopotamus, Nile crocodiles and many bird species like great white Pelicans, African spoonbills, great cormorants, African fish eagles among others. 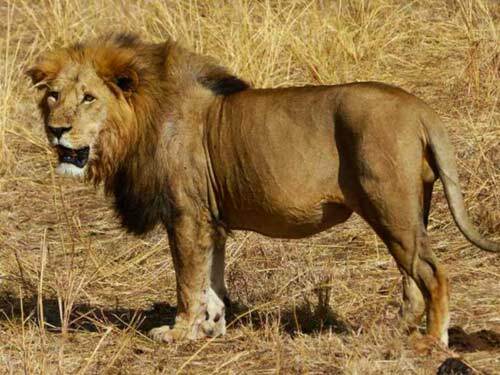 He have early morning breakfast and before checking out, we have an optional game drive in search for wildlife or Explosion craters drive, a great scenery of different crater lakes, some containing water, others blank while others densely forested. Here there is no much gaming because of the vegetation but the scenery so amazing. We them depart for Kampala/ Entebbe. We have a hot lunch on the way, driving through Mpambire village of the Drum makers before the destination either hotel or airport for the flight back home.